Ajaya Kumar Gupta is a Professor Emeritus of Structural Engineering and Mechanics at North Carolina State University where he has been on the faculty since 1980. He founded the Center for Nuclear Power Plant Structures, Equipment & Piping (now Center for Nuclear Energy Facilities & Structures) in 1991 and served as its Director until 2001. Earlier, Dr. Gupta was an Associate Professor and Senior Research Engineer at Illinois Institute of Technology (1976-80), and led a group of specialists at Sargent & Lundy (1971-76). Professor Gupta did research on the safety of nuclear plant systems, structures and components under seismic and other loads. He authored Response Spectrum Method (Blackwell/ CRC 1990), the only book on the topic. Results of his research are incorporated in the US and international codes and standards and regulatory documents. Dr. Gupta was Chairman of SMiRT 16 (Washington, DC 2001), and served as IASMiRT President (1999-2001) and on several other professional committees in various capacities since 1971. Professor Gupta is recipient of the ASCE with the Bechtel Energy Award (1996) and Huber Research Prize (1982). 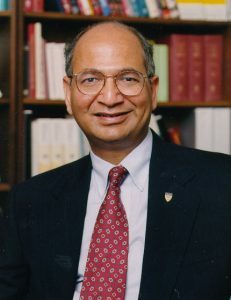 Ajaya Gupta earned his PhD from the University of Illinois at Urbana-Champaign (1971), and MS (1968) and BS (1966) from the University of Roorkee.